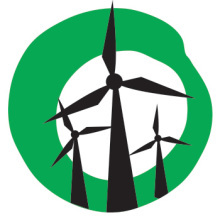 Published by Global Wind Energy Council. View original article. Washington, D.C.—The U.S. Environmental Protection Agency is expected to release its first-ever proposed rule limiting carbon dioxide pollution from existing power plants on June 2. The good news is wind energy is already helping nearly every state make progress toward whatever reductions the EPA will require and is an affordable and reliable compliance option for further reductions. Something the apologists for fossil fuels cannot claim. Start a movement for Port Phillip Bay Blair or are you worried about losing your 85% support for wind energy when people realise the value of their seaside homes will fall with the industrialisation of their view. Coastal turbines consistently generate more energy than inland sites but we know the reason that inland is preferred – less votes to lose!